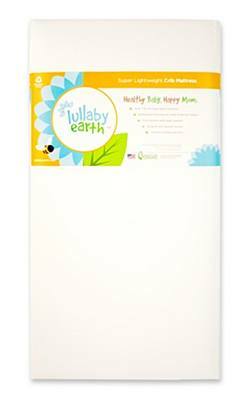 Lullaby Earth offers a light, recyclable mattress that is easy for mom and safe for baby! A crib mattress revolution has begun! Introducing the world's lightest, most recyclable, health and safety focused crib mattress ever made! 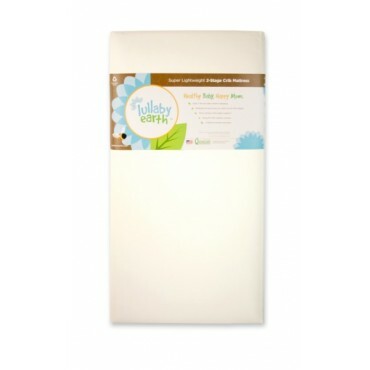 Designed to be easy for mom and safe for baby, the Lullaby Earth crib mattress delivers the perfect balance of features. Best of all, it won't break the bank! Weighing only 7 lbs, the Super Lightweight Crib Mattress makes changing the mattress a breeze! If you've changed a crib mattress before, you know what a chore it can be. Reaching over the side of the crib to lift out a heavy crib mattress can be challenging for anyone! Some mattresses weigh up to 20 or 30 lbs. Most parents change the crib at least once a week. You can now get the job done without any heavy lifting!